The next best thing to looking like an infected, contaminated zombie is wearing the pigment that has been collected from zombies. That is what you will look like whenever you apply some of this Green Biohazard Zombie Make-Up. 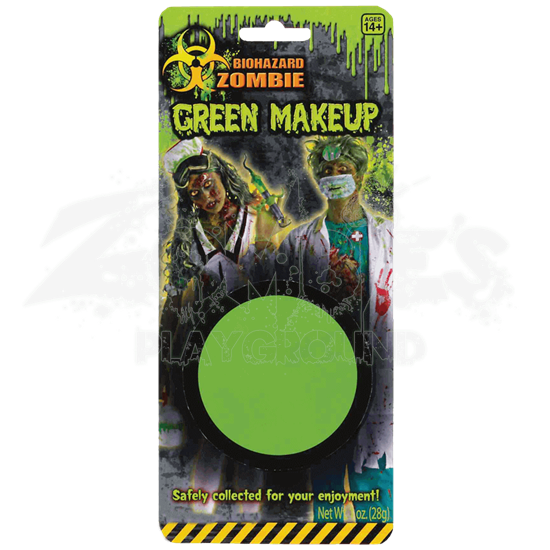 Each package contains one container of toxic green make-up that is perfect for applying to skin in order to create a deathly and eerie green pallor. Of course, wearing this make-up will not make you into a typical zombie, but rather, a toxic zombie that has been exposed to dangerous levels of biohazard materials! Each tin of make-up contains one total ounce of make-up. There is a lot that goes into a good zombie costume, and a solid looking base is almost required for each and every one. 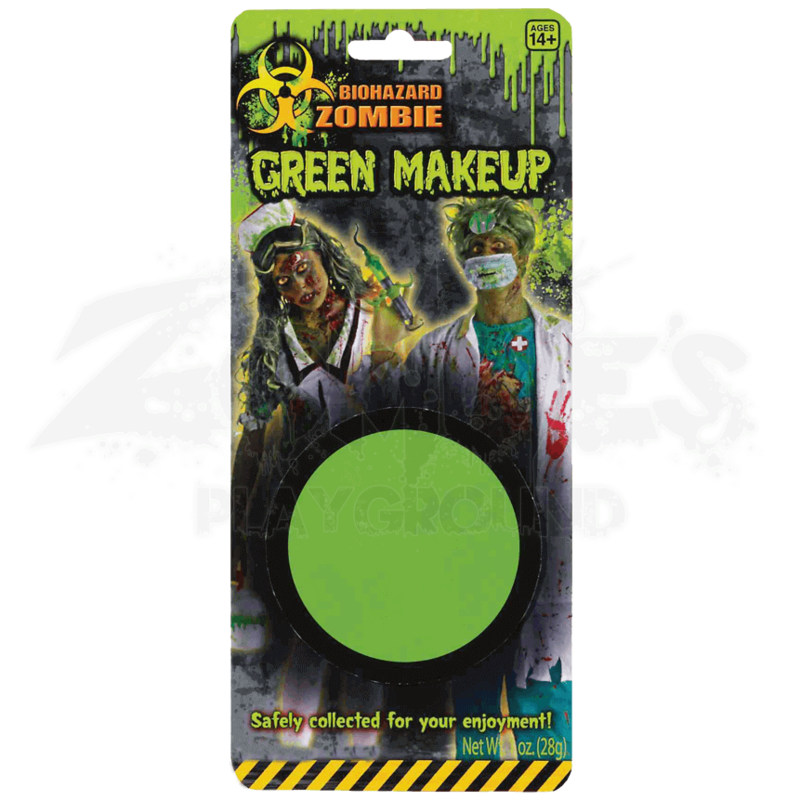 So make sure you use the right materials, like this Green Biohazard Zombie Make-Up, whenever you are creating your zombie look to ensure that it looks as realistic and as terrifying as possible.